Next Day Delivery, Real Wood Doors, Paintable Kitchen Doors, Sloping Doors. March 22nd 2019 by Kirsten. February 9th 2019 by Kirsten. January 21st 2019 by Kirsten. December 19th 2018 by Kirsten. The kids have all left home, or maybe you’ve just sent the youngest off to university. You’ve got the house to yourself once more – which means it’s time to do all those little things you’ve been putting off. Like giving your kitchen a bit of a refresh. It doesn’t have to be expensive though, or involve weeks of hard graft – simply replacing the kitchen doors and drawer-fronts will give the room a new lease of life, and you can do it in a matter of hours. Now that sticky fingerprints on the door-fronts and small hands getting into cupboards when they shouldn't are distant memories, you can create a kitchen that's just for you. Maybe it's time for a bold, eye-catching colour like red or metallic blue, or maybe you want a monochrome palette that's elegant and timeless. Whatever you're looking for, we can help you bring your dream kitchen home. You’ve finally got the keys to your new home and you can’t wait to make it truly yours. You might be wondering where to even start – how about the kitchen? From that first cup of tea in the morning right through to your evening meal, you’ll be spending a lot of time in the kitchen, so it needs to suit you and your lifestyle perfectly. If the existing kitchen feels a little tired and dated, or if you simply don’t love it, replacing the kitchen doors is an easy and affordable way to give the whole room a new look. White gloss-finish doors will instantly brighten up the space - ideal if the room is small or doesn't get much natural light. If the kitchen is your natural habitat and you love to host, a bold colour like red will give you a warm, vibrant space for entertaining. If timeless style is more your thing, Shaker doors in a light woodgrain will last you for years to come. Removals van gone, kettle on. 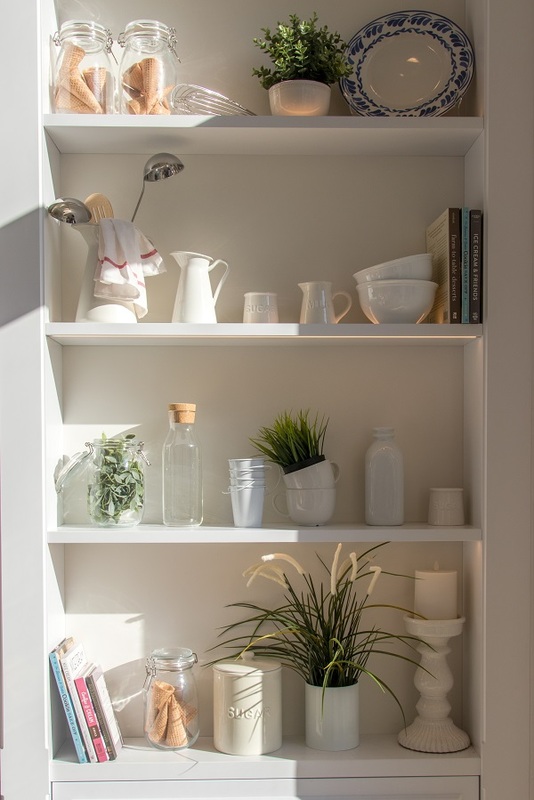 Whether you’ve got a single property or a substantial portfolio, you've got plenty to think about already, so making some quick updates to the look of the house or flat shouldn't be stressful or time-consuming. The kitchen is probably the most important room in a property – when prospective tenants look round, the kitchen is often where they'll first picture themselves. Making coffee and toast in the mornings, rustling up dinner after work, hosting friends at weekends. If you've got a kitchen that needs some TLC before new tenants move in, replacing the cabinet doors is an easy, cost-effective way to transform the whole room. And there's no need to pay a kitchen fitter to install the doors, as we've got a range of materials that will guide you through the process – from measuring units to adjusting hinges. It’s time to move on. Perhaps your family is growing and you need more space for the kids. Maybe you're swapping city lights for country lanes, or even vice versa. 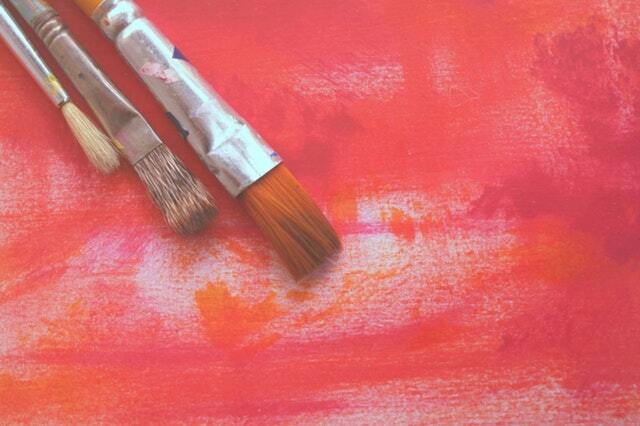 Before you get the estate agent round, get your kitchen looking ship-shape. It's called the heart of the home for a reason; it's where all the action happens. Your prospective buyers will be picturing themselves there – cooking, eating and entertaining – so give them the perfect canvas. Replacing the kitchen doors and drawer-fronts is a low-cost, low-stress way to give the whole room an instant lift. Brighten a small kitchen with gloss-finish doors in a light colour, or choose a finish in ivory, cream or a pale woodgrain – neutrals like this are highly versatile and will help potential buyers envisage themselves living in the property. Replacement kitchen doors are a quick, affordable way to give your kitchen a new lease of life. With doors starting from just £2.99, you can transform the look of the room even if your time and budget are limited. Whether your current cabinet doors are a little tired, you need to replace just one or two doors, or you've inherited a style of kitchen you don't love, replacement kitchen doors are the perfect solution. 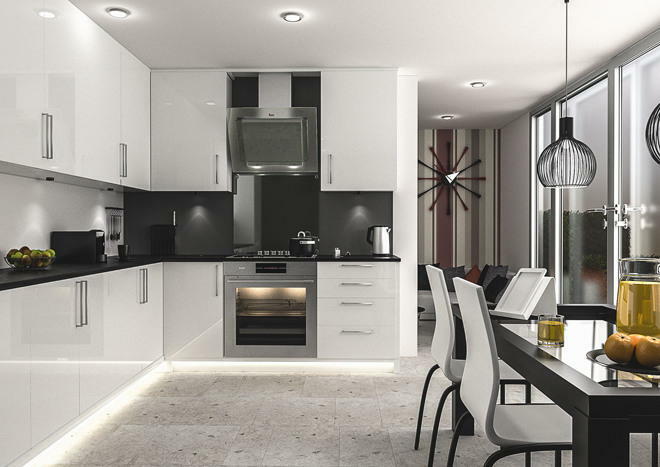 If your kitchen's on the small side or doesn't get a lot of natural light, brighten up the room with white kitchen doors – they make a room look fresh, clean and modern in an instant. Plus, white goes with everything. High gloss doors are hugely popular, and for good reason – again, they'll modernize your kitchen immediately, and the shining surfaces will reflect light and make the room seem brighter. 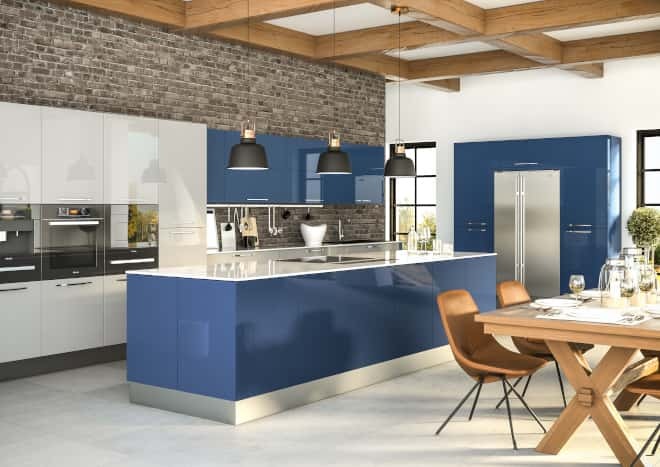 Whether you want a cool white or a bold colour, you'll find your perfect gloss doors right here. In a rented property, or need a quick, failsafe choice? Plain kitchen doors are a crowd-pleaser – they'll suit any kitchen, they're easy to clean, and they're simple, sleek and modern. Shaker doors are another popular style of kitchen door, as they can look either traditional or more up-to-date, depending on the finish you choose. 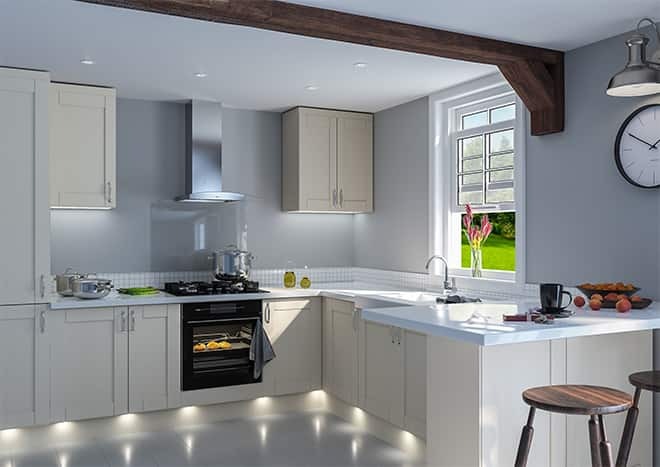 If you live in an older property, Shaker kitchen doors with a woodgrain finish will give you that classic, cosy look, and if your home is a new-build or a modern apartment, white, cream or coloured Shaker doors will fit right in. For fans of cool, minimalist style, handleless doors are an easy way to make an outdated kitchen feel more contemporary. The smooth surface of this design means there's nothing for you to catch yourself on as you move around the room, and perhaps best of all, handleless doors are great value – as you won't have to buy handles separately. But if what you really want is a cosy cooking space full of traditional features, woodgrain kitchen doors are the way to go. We have a range of finishes, from rich, dark woodgrains to fresh, light shades, so no matter what the size and look of your kitchen, you'll find the woodgrain door that suits the room. Whether you’re a complete beginner or a dab hand at DIY, you can fit your own kitchen doors without much trouble or stress. Our video guides and free downloadable book take you through the whole process, from measuring your units to fitting new handles. And as it’s just the doors you’re working on, mess, waste and hassle is kept to a minimum. Replacing your kitchen doors is much faster, cleaner, and less disruptive than a full kitchen refit. From the first coffee of the morning to your evening meal, a warm, welcoming kitchen truly turns a house into a home. Replacement kitchen doors can completely transform a room, so let us help you create your dream kitchen. With a fitted kitchen costing many thousands of pounds its easy to see why so many people are choosing to replace just their cupboard doors. It can take weeks, even months to fit a complete new kitchen, whereas you can quickly replace your kitchen doors in just a day or so. Fitting replacement kitchen doors is a simple and straightforward DIY project which can be attempted by anyone with a reasonable level of experience. Replacing your kitchen cupboard doors has almost none of the mess and disruption associated with fitting a complete kitchen. Nobody likes creating unnecessary waste, and ripping out a perfectly good kitchen just to change the style or colour of the doors is not only wasteful, but it's expensive too.